At Chocolate Gourmet we pride ourselves on providing a unique service to all our customers. Bespoke ribboned boxes, supplying the highest quality chocolate truffles along with our personal service makes shopping with us a good ‘old fashioned’ experience. Luxury chocolates uniquely presented for that ultimate chocolate gift. We specialise in chocolate delivery by post, ensuring that your order is received in the best possible condition for you or the person you are sending it too. 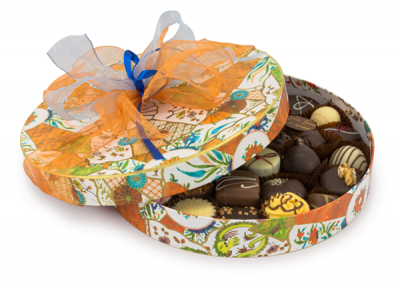 Our classic gold chocolate boxes make wonderful gifts and come in three different sizes. 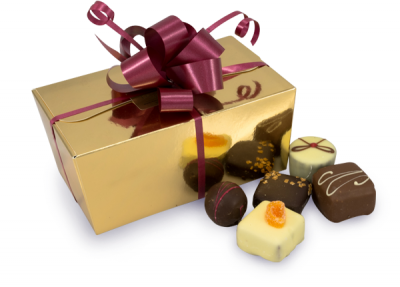 Chocolate Gourmet’s luxury gift boxes are a speciality, individually tied with chiffon ribbon. 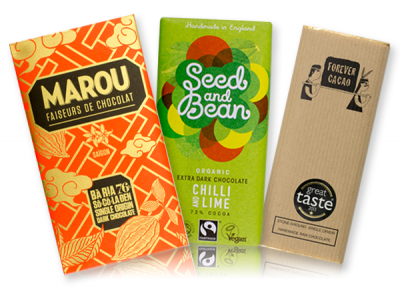 Our chocolate bar collections are ideal taster gifts for the serious chocoholic.